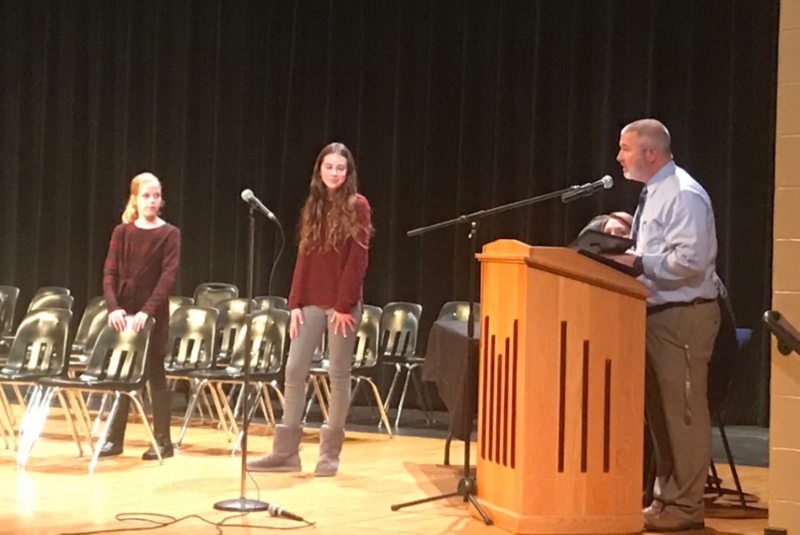 The Logan-Hocking Middle School Spelling Bee was held on Tuesday, January 15th in the LHMS Theater. 32 Spellers competed to become the middle school's top speller. Mira Burns, 7th grader at LHMS, claimed the rights to be top speller by her correct spelling of espionage. Runners-up were 2nd Place, 5th Grader Avery Moore and 3rd Place, 7th Grader Naia Salas. Mira has the opportunity to compete in the regional spelling bee at Ohio University in Athens for her chance to move on to the National Spelling Bee in Washington, DC. Congratulations to all the spellers. Pictured from left are: Avery Moore, School Champion Mira Burns, and Naia Salas.